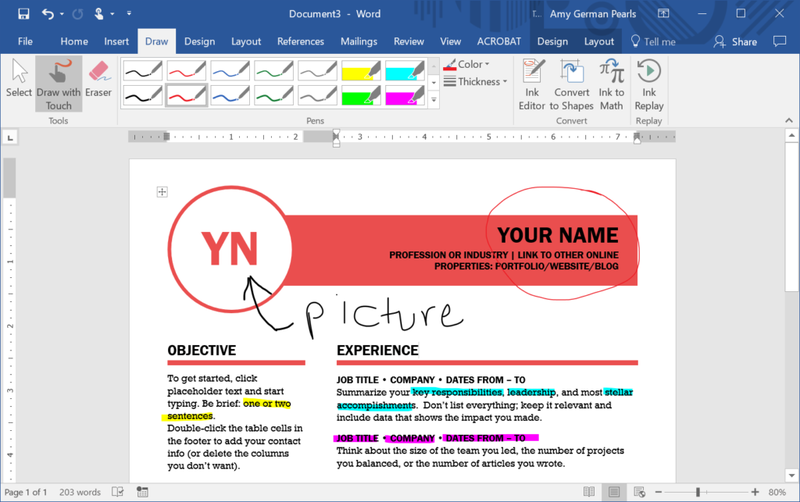 A cool new feature in Office 2016 let’s you draw, highlight and add comments to a Word document. I am so excited about this new feature and have already found a few uses for it. So, let’s see what it’s all about. Which Versions of Word Have the Draw Feature? 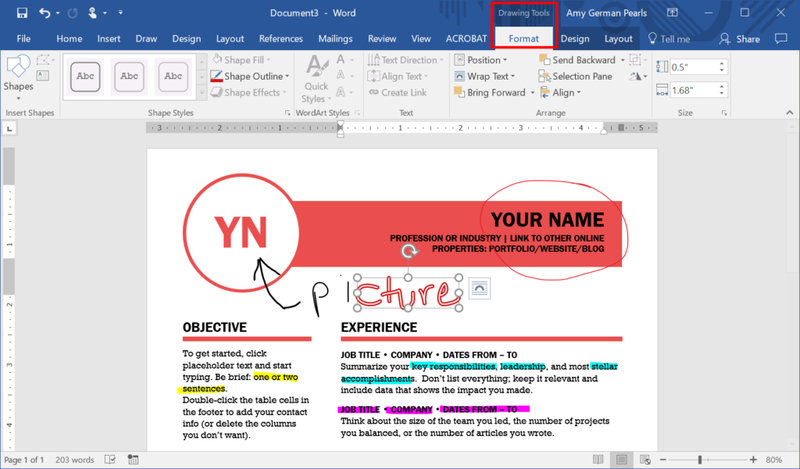 The drawing and annotating feature was released in an update to Word 2016. So, if you’re using Word 2016 you can draw or comment on a Word document. If you have an Office 365 subscription you get all the latest updates so you also can use this new feature. Do Other Office Programs Have the Drawing Tool? Yes! 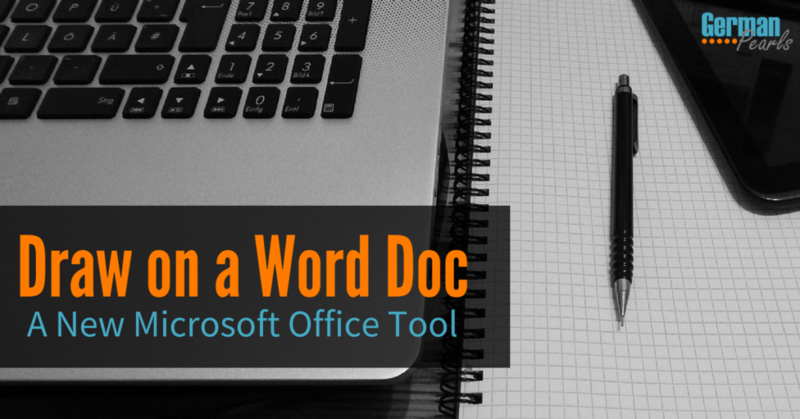 This new feature was released for all of Office 2016 so it’s also available in Excel, Powerpoint and more. 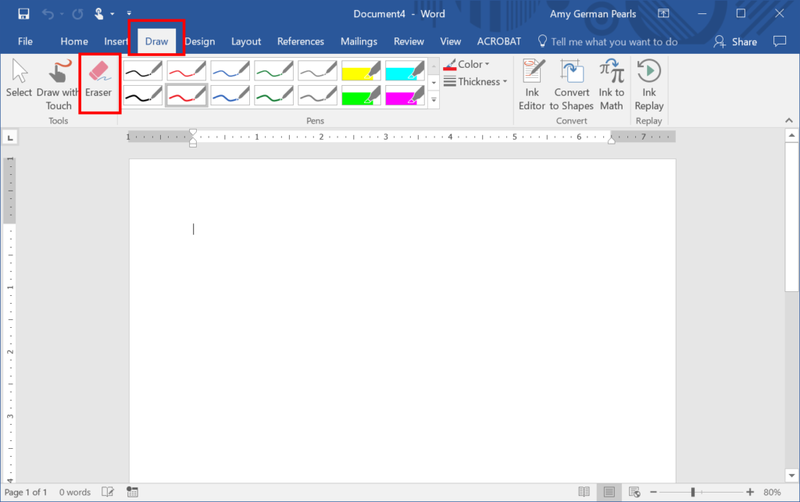 In this article we’re going to explain how to use the feature in Word. You can use the same techniques to write comments and highlight items in your Powerpoint or Excel file as well. The draw feature has its own menu. To access the draw tools, click on draw in the menu. 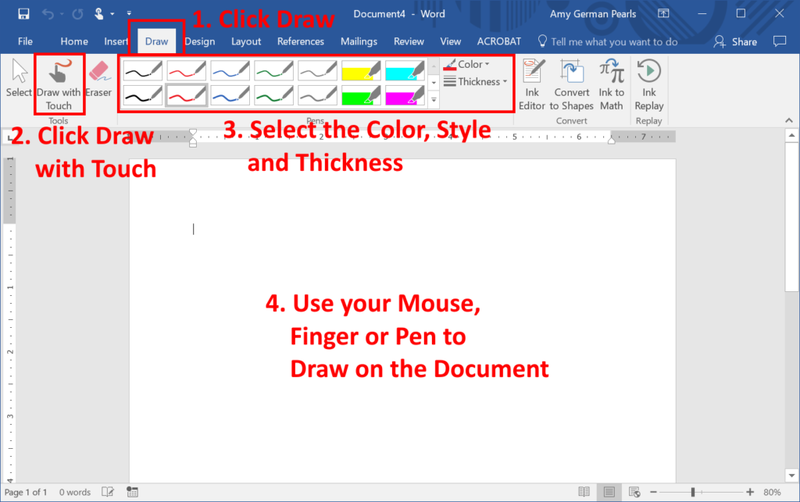 To write on the Word document, click on the draw with touch button. Now, use your mouse, finger (if you have a touchscreen) or pen (if you’re lucky enough to have a Surface, which hopefully I will someday 🙂 ) to write comments directly onto the Word document. In this example I used the drawing tool to draw and highlight on a resume template. See how easy and convenient it is to add notes, comments and highlight areas on a document? After you’ve added comments it’s easy to delete comments in a Word document. Say you don’t want to delete your comments but want to, instead, change them. You can also edit (or change) your drawing, highlights and comments in your document. When you’re done drawing, editing and highlighting your Word document you can save it and send it off to someone else for viewing. When another user opens your document that has comments they can see your comments on the document. I’ve found the commenting, highlighting and drawing options so helpful in Word. One way I’ve used these is in creating articles for this blog and others. If I’m drafting a blog post in Word I like to also use the same document to store research for it. Using the Windows snipping tool I will take portions of screenshots from the internet and save them directly in the Word document. Then, with the drawing tool, I can highlight and circle sections to help guide my writing. Have you found other ways to use this great new tool? I’d love to hear how others are using it to save time and be more efficient!